Ominous warnings from the former White House staffer and current Big Brother castmate. 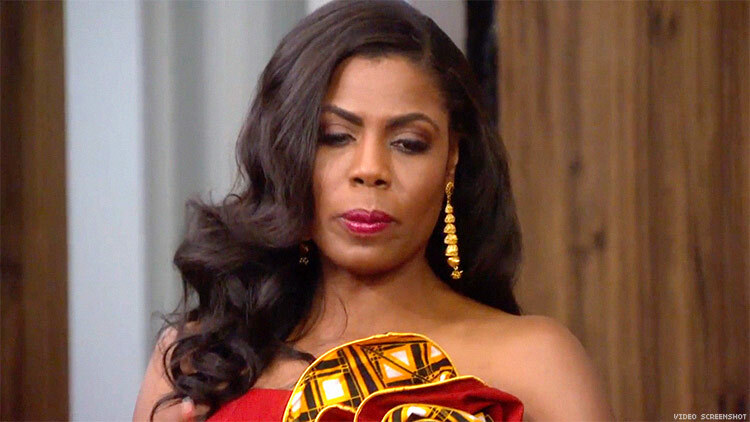 Omarosa Manigault-Newman — appearing on CBS's Big Brother: Celebrity Edition after abruptly leaving her position in the White House — continues to spill the tea on the current administration, saying Vice President Mike Pence would be a dangerous replacement for Donald Trump. As LGBT people know intimately, Pence is a threat to minorities — and Manigault-Newman made that very clear in the latest Big Brother episode. "As bad as y’all think Trump is, you would be worried about Pence," she told her housemates, who include E! personality Ross Mathews. "Everybody that's wishing for impeachment might want to reconsider their life. We would be begging for days of Trump if Pence became president, that’s all I’m saying. He’s extreme." Manigault-Newman, married to a pastor, added, "I'm Christian, I love Jesus, but [Pence] thinks Jesus tells him to say things. I'm like, 'Jesus didn't say that.' "
Discussing Trump's plan for Dreamers, Manigault-Newman said the administration plans to come down even harder on immigrants brought here as children and that deportations will soon increase. Manigault-Newman has been sounding the alarm on Trump since she was recently fired as director of communications for the Office of Public Liaison in the White House — allegedly over taking advantage of the White House car service. Earlier on Big Brother, Manigault-Newman told Mathews that the Trump White House is worse than most people realize: "It's bad. It's not going to be OK. It's not."